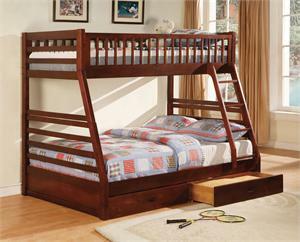 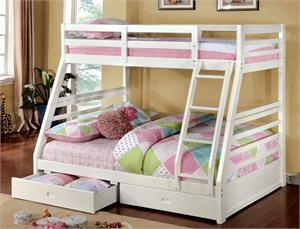 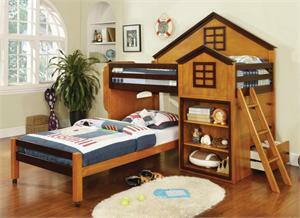 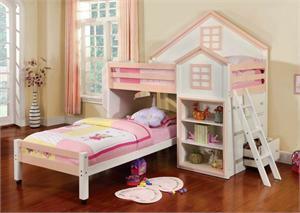 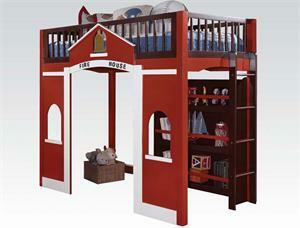 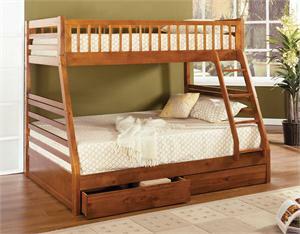 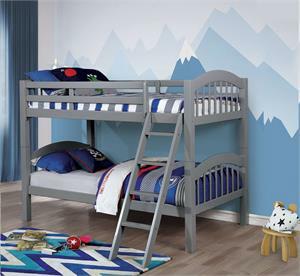 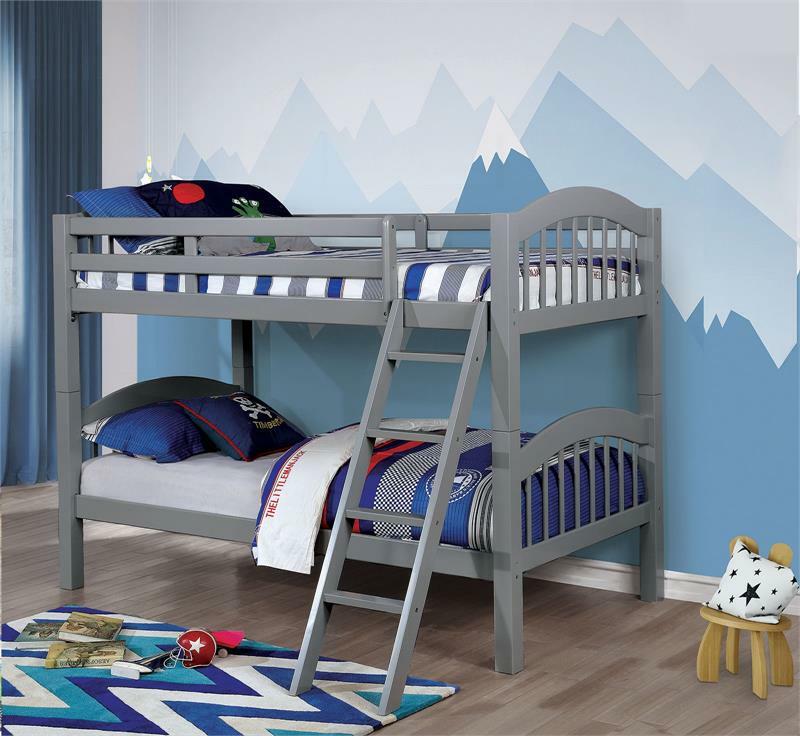 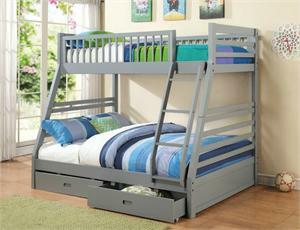 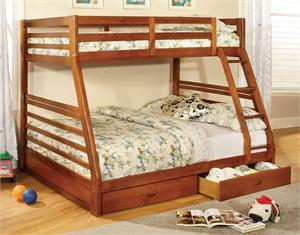 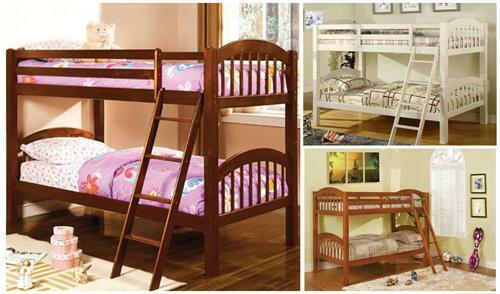 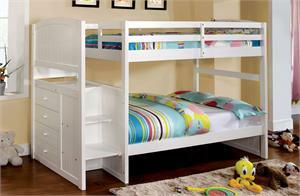 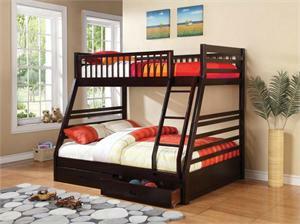 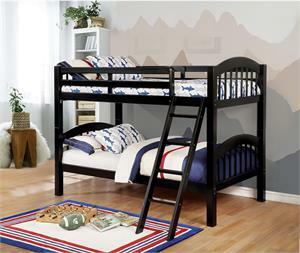 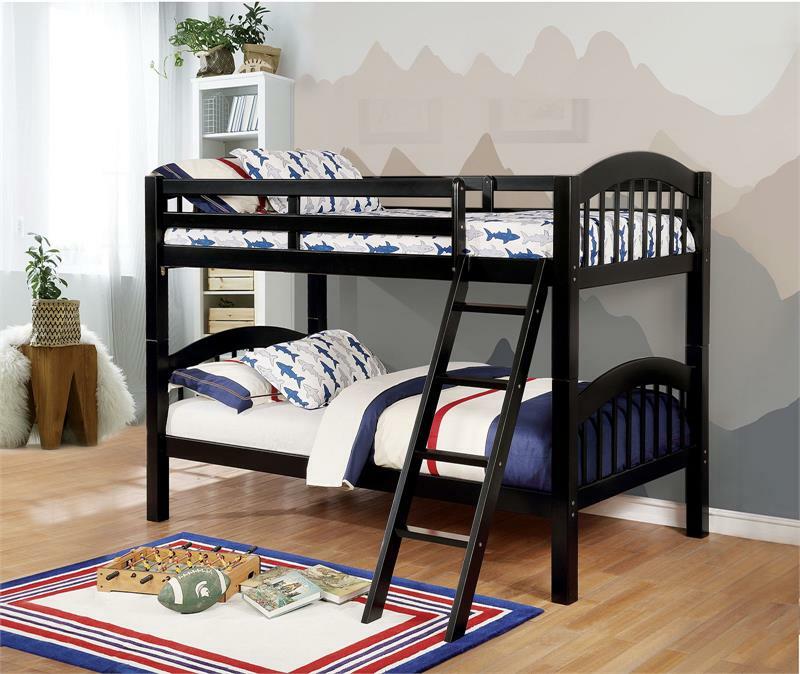 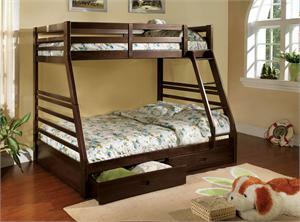 Picket French headboard, footboard and sturdy square legs are design features of this twin over twin bunk bed. 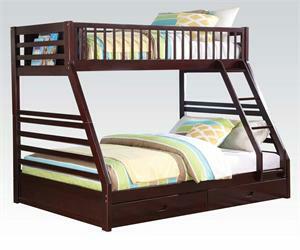 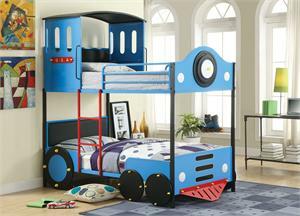 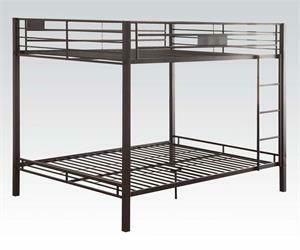 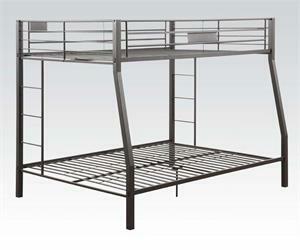 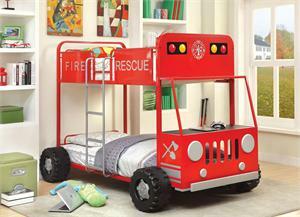 This bunk is perfect for guests or sleepovers. 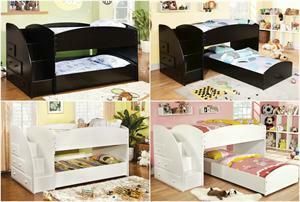 Finished in 5 colors: oak, black, grey, cherry and white.